Alexander Petkov has a PhD in “Informatics and computer science” from the Technical University of Sofia. Before that he got a Master’s degree in “Technology Entrepreneuership and Innovation in IT” from the Sofia University “St. Kliment Ohridski” and a Bachelor degree in “Computer Engineering” from the Technical University of Sofia. 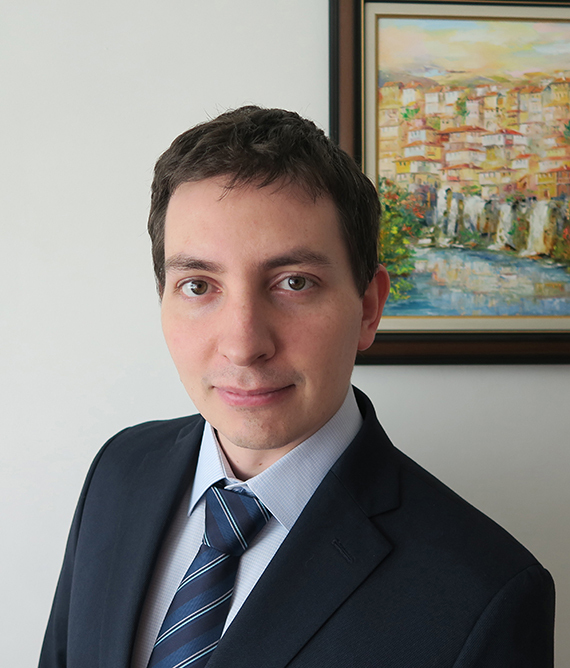 Alexander Petkov has been working at the Acstre Software Group for 13 years. There he leads the development of innovations and new software products. He has been the manager of a multitude of projects, including the “Development of a Centralized Information System for Management and Control of the Execution of SCF Projects” (E-Podem) in 2014 for NAMRB, development of an “Information System for Energy Efficiency and Green Economy Programme (EEGEP) Projects” for the Ministry of Economics in 2012, “A System for Registration, Evaluation and Monitoring of EFF Projects” for the NAFA, “Development of ACSTRE GIS” and many more. He has participated in the definition of the “National Interface for Data Exchange between the National Systems for Project Management” in the years 2009-2010.